﻿ What is the price of rewiring your house? What is the price of rewiring your house? In urban Singapore, every home is powered by electricity as it is what allows us to turn on appliances ranging from TVs, home theaters, electric cookers, dishwashers and refrigerators among others. During construction, workers follow a carefully laid plan which displays where each socket, switch and bulb holder will be installed. This means that electric wiring needs to be done in order to connect the sockets, the switches and bulb holders at the main switch. This is a delicate project and needs to be done by a professional who is certified, trustworthy and experienced. As the time goes by, you home ages so do the components installed in it. To prevent any electrical accidents, rewiring has to be done. In order for the project to take off, there are several considerations that needs to be made. Apart from contacting an experienced contractor, you need to come up with a budget as well as taking measurement of the rooms as this will help with budgeting. The project is complex and a lot of electrical cables will be run from one point of the house to another. What you need to know is that proper electrical rewiring is the life of the home. Electrical wires need to be insulated as this helps to prevent damage to the wires as well as allowing electricity to flow without any resistance. 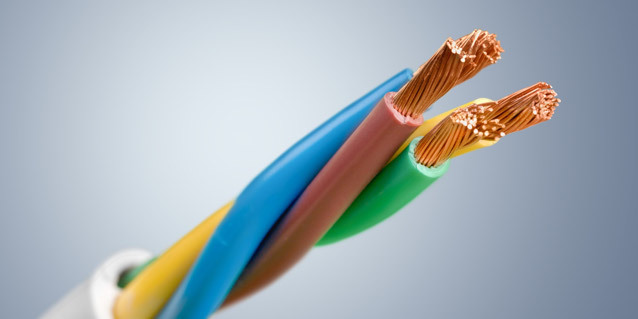 Copper is the most common material that is used for electrical wires. This is because copper acts a good conductor of electricity. The wires are insulated with a plastic sheath which as discussed above helps to prevent damage to the wires as well as improving the flow of electricity. The wires come in three colors namely brown/red, green/yellow and blue. The brown/red wires transmit electricity, the green/yellow act as earth and direct high voltage into the ground. This eliminates damage to your appliances. The blue wire helps to complete the connection and is referred to as neutral wire. It is important to plan and come up with a budget for your project. The reason for this is that you will be able to use the funds you have wisely and avoid shopping for unnecessary stuff. Before you come up with a budget, there are considerations you need to have in mind. First, you need to measure the size of your room. Electricians who provide electrician services Singapore use this as it helps to determine the length of electrical cable to be used. Secondly, you need to determine the cost of electrical wires. You can do this by checking with electrical stores. This will give you an idea beforehand and allow you to come up with a budget. Create the budget and finally calculate the final amount. With these, you can finally prepare yourself to engage in the project. So, how much does it cost to rewire a house in Singapore? The one thing you need to know is that you can contact experienced contractors to provide you with free quotes for rewiring your home. This allows you to be informed early in order to make better decisions and so, rewiring a 3 room HDB flat will cost you around S$800. Note, the price above is for estimation purposes and the rewiring will include several other components. They include lighting points, power points, air con point and water heater point. The number of points to be installed can vary from 1 to 8 but it all depends on your home design. Majority of contractors will issue discounts when you get to have your whole home rewired as well as purchasing the electrical components from them. This will allow you to have high quality work done as well as the best services. You don’t have to worry about electrical problems anymore after the project is finished as your home will be safe and your appliances too. Take advantage of discounts being offered by electrical contractors. Majority will tell you to have your whole house rewired and purchase the components from their store and the final price will be slashed. Contact a well trained and experienced contractor. Why? They will perform for you high quality services and you don’t have to call another for the same job to be redone. It is important to consider several factors when it comes to rewiring. This allows you to make better decisions and save in the process. You need to come up with a budget, hire professional and experienced experts. If you’re looking for affordable and licensed electricians in Singapore, you can contact CATS for quick and easy service.